No matter the occasion this wonderful, long lasting dose of sunshine is sure to please any sweetie in your path. South America green hydrangea are the cornerstone of this piece giving plenty of room for the hot pink roses, dianthus and pink asltro to shine through. 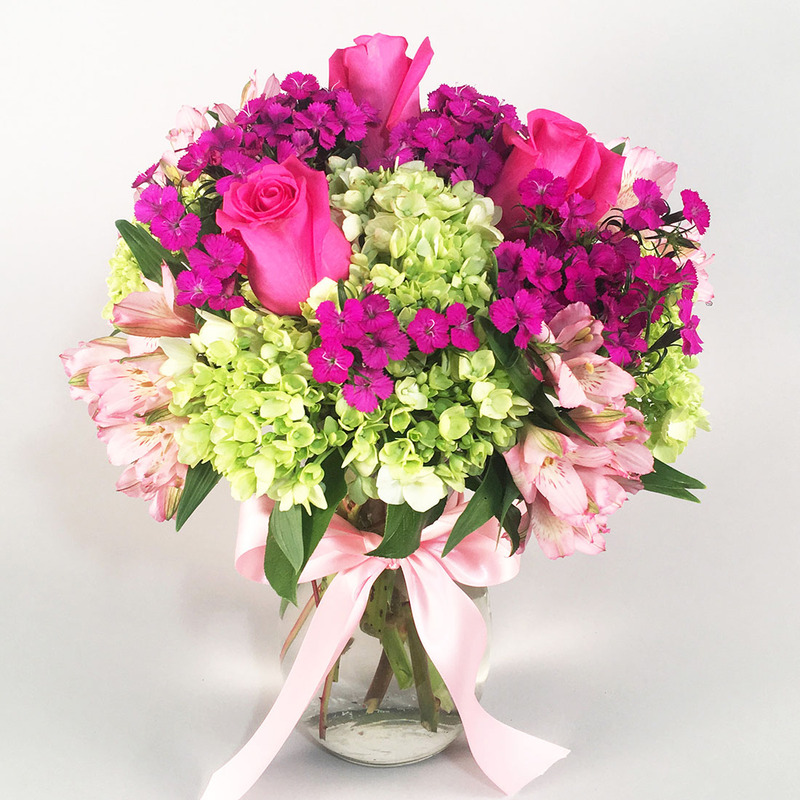 Our premium version has more roses and is arranged in a larger size vase. Perfect for the kitchen, coffee or end table.